Want to email raya greetings to your friends? 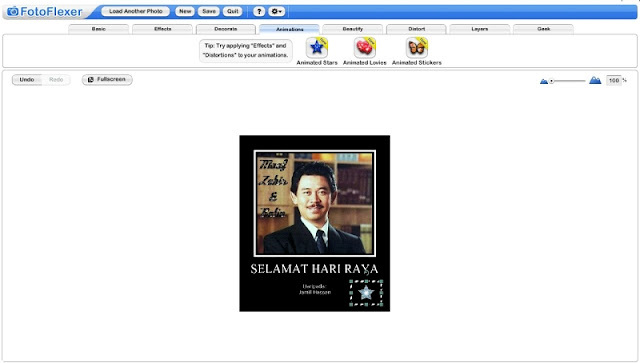 Or put a raya card on your website? 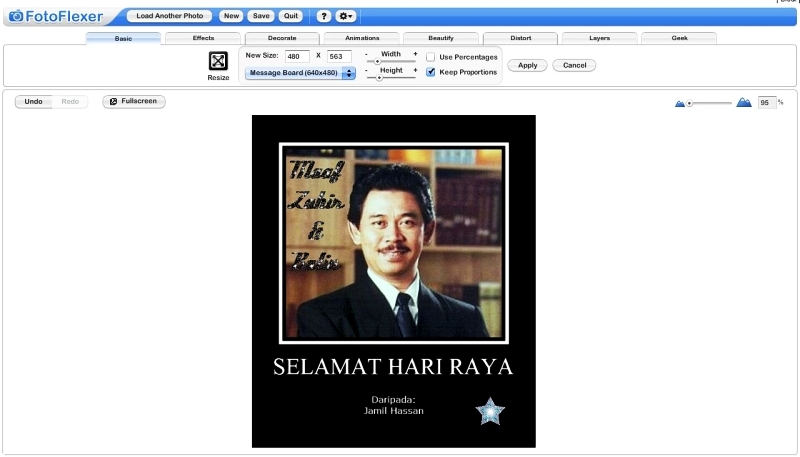 Here is a free online application you can use to make your raya card. It is called Fotoflexer. Let me show an example of how to make your own raya card. 2. Choose the tab "Decorate" then click on "Poster"
then add your title and description. 3. 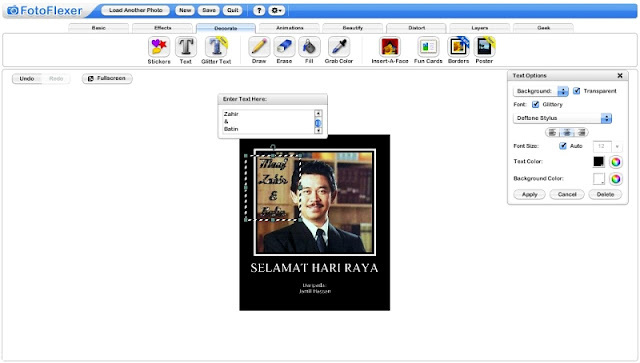 Choose the tab "Decorate" again and click on "Glitter Text"
then add your "maaf zahir & batin"
4. Choose tab "Animations" then pick say "Stars"
5. 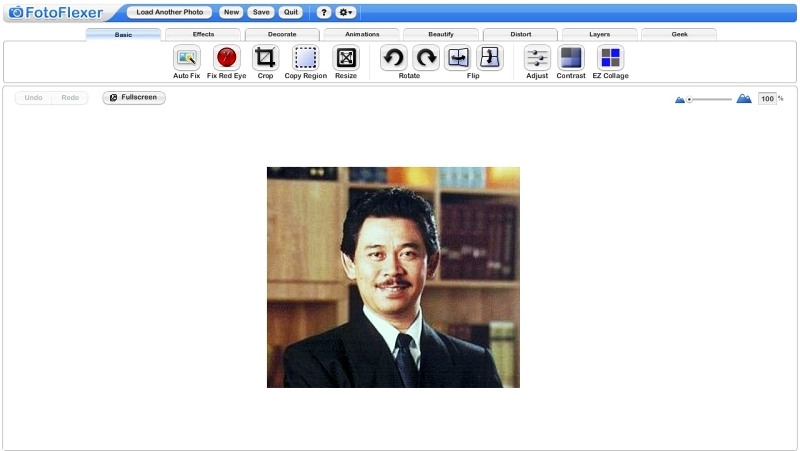 Choose tab "Basic" then "Resize"
Then click on "Save" and save to your computer. Your very own Raya Card. When you've done yours, send it to me. thnx for the great tutorial! =) i just received yours. looks relli relli goood!